Horror comedy American Burger takes part in 2015 Grossmann Fantastic Film and Wine Festival in Ljutomer, Slovenia 14th-18th July. 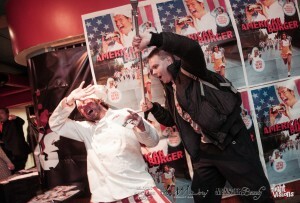 American Burger at Night Visions International Film Festival! 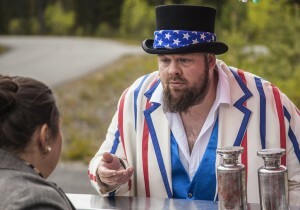 Amercian Burger screened at the Night Visions International Film Festival 2015 in Helsinki, Finland. The screening took place on April the 17th. Great screening, great festival, great audience and the party afterwards rocked to say the least! 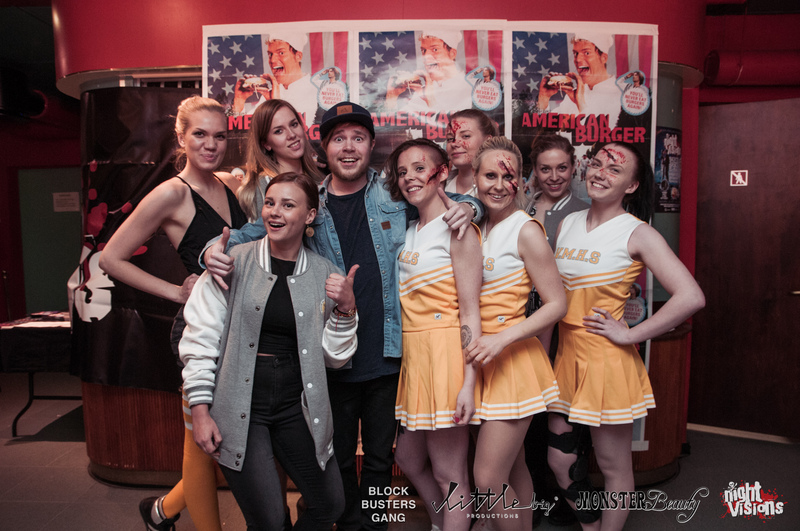 American Burger is is available with Finnish subtitles and is represented in Finland by the amazing Blockbusters Gang – the greatest bunch of hardworking media professionals ever! http://www.movieboosters.com/wp-content/uploads/2015/05/Skärmavbild-2015-05-02-kl.-13.01.24.png 197 399 Anna G. Magnusdottir http://www.movieboosters.com/wp-content/uploads/2013/06/logo_top3.png Anna G. Magnusdottir2015-04-20 11:34:302015-08-11 21:03:46American Burger at Night Visions International Film Festival! The second film in the 3-film American Burger franchise will go into production in the autumn of 2015 and be released in autum 2016. The film is included in the slate of Nordic Genre films presented by the collaboration platform Nordic Genre Invasion. Interntional Sales & Distribution is taken care of by Movieboosters AB. http://www.movieboosters.com/wp-content/uploads/2015/01/AMBU-10-300x210.jpg 210 300 Movieboosters http://www.movieboosters.com/wp-content/uploads/2013/06/logo_top3.png Movieboosters2015-01-16 13:47:002015-08-11 21:03:48Bon Appétit! American Burger Screens in Gérardmer, France! American Burger is written and directed by debuting couple Bonita Drake and Johan Bromander who comment on the level of ambition for their first production: “We hope to do for Burgers what JAWS did for Sharks”. AMERICAN BURGER is a Campy Horror Comedy, produced by LittleBig Productions AB and will be released 2014. The English language film is shot in Sweden with a mixed cast of English and Swedish actors and extras. Sales & distribution goes through Swedish Movieboosters AB. SITGES – International Fantastic Film Festival of Catalonia is the number one fantasy film festival in the world and represents, at the same time, the cultural expression with the most media impact in Catalonia. With a solid experience, the Sitges Festival is a stimulating universe of encounters, exhibitions, presentations and screenings of fantasy films from all over the world. Born in 1968 as the 1st International Week of Fantasy and Horror Movies, today the Festival is an essential rendezvous for movie lovers and audiences eager to come into contact with new tendencies and technologies applied to film and the audio-visual world. The English version of the Film will be internationally released on October 17th through Movieboostes (through VHX) platform from where the film can be streamed or downloaded to own. The audience is already now invited to join the AMERICAN BURGER fan base as well as to pre-buy streaming or download to own tickets in different packages from the film’s website. From the 17th of October and onwards the film can be seen in cinemas, be found on local VOD platforms and will be released on DVD on the 22nd of October. The film is aimed at an audience that loves pop culture and comedies in the horror genre and they will be able to access the film from all over the world, wherever they are. A 30 min. Work in Progress Promo for Horror Comedy American Burger I will be screened @EFM, Berlin. The screening takes place at the Marriott3, Monday the 10th of February at 6.40pm.